For anyone who's just starting out drawing manga style, this book provides useful information on colouring. Different colouring tools are introduced. Each are explained on their characteristics and tips on using them. 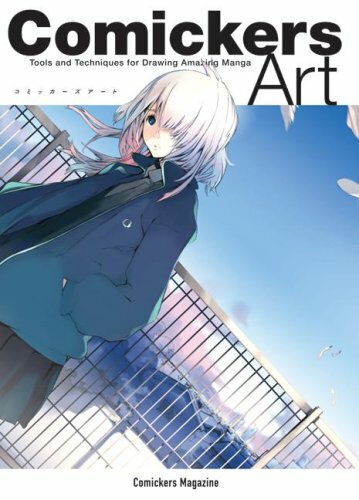 The featured artists in this series are Saya Iwasaki, Hiroki Mafuyu, Ayumi Kasai, Hamlet Okinawa, Renji Murata, Kim Jyung-Tae and Houden Eizo. These artists goes through tips on their colouring process with their tools: markers, coloured ink, water colour, acrylic paint and digital colouring. These are step by step tutorials with detailed captions. Additionally, there are Q&A interviews with some of the artists. Right at the end is a gallery containing illustrations created from a variety of medium. These are from other manga artists. This book is a great book for beginners. Experts might learn something new too, especially on exploring new colouring techniques and medium. Apart from the great art this looks like a really useful instruction book. I haven't commented before but I enjoy all your posts. Great blog! Have you ever look at "Style School" books? https://www.amazon.com/Style-School-2-v/dp/159307834X/ref=pd_sim_b_1 they are up to 3 volumes and i kinda confused which one should i buy!! I haven't got the chance to read these books. I'll post up a request on the forum.